Don't shop, swap! 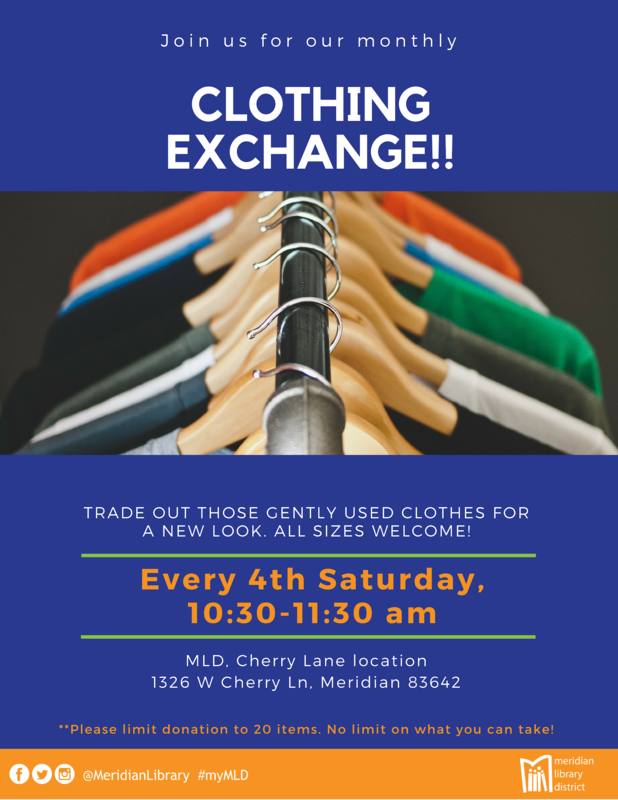 Free drop-in clothing exchange every 4th Saturday of the month. We accept gently used clothing, shoes, and accessories. No maximum of what you can take but please limit donation to 20 items. All sizes welcome!